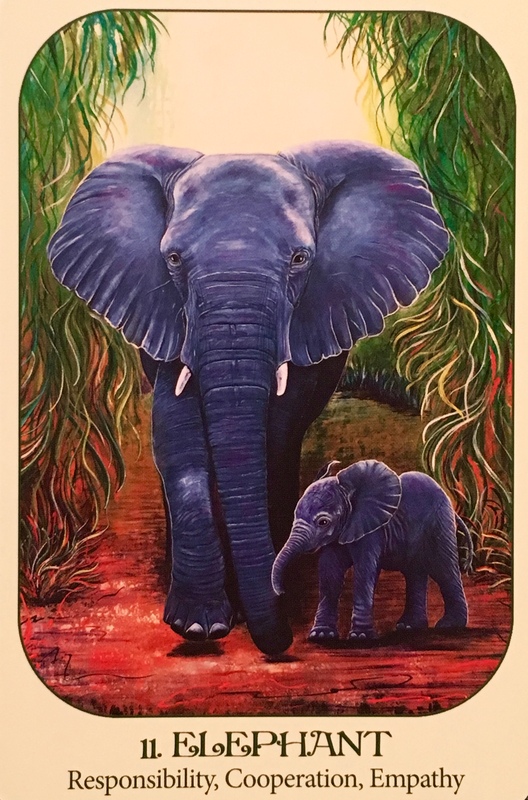 Elephants practice Unconditional love and acceptance by caring for each other’s young, by honouring the members of their clans who have passed on, and those of other clans as well. They are deeply connected to the Earth and to the ancestors and ancients. They practice compassion, loyalty and love. We can learn valuable lessons from the elephant. This is also a reminder of the power of gratitude in our lives. Gratitude holds unimaginable power. Gratitude has the power to transmute negative into positive, and turns us into magnets for more to be grateful for. It allows us to rise above the drama of everyday life, and it offers us an olive branch when things feel beyond our control. Gratitude can rekindle the Light within us when all else seems to have failed. What are you most grateful for? What keeps you going every moment of every day? What have you possibly taken for granted that you could express great thanks for, knowing that it has made a difference in your life, has made you a better person? Take time today to express this gratitude to someone who has helped you, who has loved you, and who has helped to make you who you are today. Buy a bouquet or pick some wild flowers or deliver a hand written note. It doesn’t have to be expensive or complicated, even a simple Thank you hug or smile will do wonders. This is so sweet and reminds me of me and my daughter. Thank you! I miss my son but he is amazing and ready to fly so I am proud! Thank you for sending this!